Terra was a dog that we had in my youth. She was actually my sister's dog but everyone loved her, of course. She was a collie cross and looked very much like Lassie. Her nose was different, though. It was not as narrow as a purebred collie. Still, a lot of people thought that she was a pure collie. 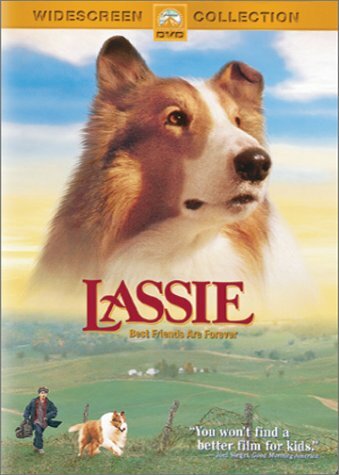 Lassie was on TV still so people would always guess that her name must be "Lassie". We thought that was funny since we could see the obvious differences between Terra and the real Lassie. As a collie cross, Terra was very smart. She had the urge to herd other animals together. This applied to puppies, other pets and even family members. She did not like cases where people would walk in groups with large gaps between members. It was her job to herd. Terra would run to the back of the line to implore stragglers to walk faster. She would then run to the front to see where the group was heading. Terra was also an attentive dog. We used to notice that she would perk up from sleeping. Suddenly she would get up and run to the door of the house. Soon Father or Mother would arrive, driving up to the house. In time, we realized that she could hear arriving vehicles well before anyone else. Terra became our early warning system for visitors. Socks was a family cat, a mixed breed type of tabby. She had interesting traits. She would follow people anywhere. Mainly this was in the house but she would follow people out in the yard as well. Once a group went for a walk on a nearby trail. Socks followed to the end of the walk and back. That was a distance of about a mile. Most cats get bored and drift off, but not this one. She was a very pretty cat and she lived a long life. Her look was very nice as she kept clean and had the distinctive tabby markings. It was quite a sight to see her outside in the grass, imitating some wild jungle cat. That is until she saw you and came running to see what you were doing. Napolean was a very interesting cat. He was nearly all black with some white markings. He was quite a large cat. His way of dealing with dogs was what made everyone notice him. He was not afraid. On several occasions, loose dogs would see this cat and start to chase him. They would run towards the cat at high speed. As the separation narrowed, the dog would realize that something was wrong. Napolean didn't run away. Ever. The dog would reach the cat, bewildered and stop. The cat then attacked the dog. This was not good for the dog. The dog, after running hard for a while, would be met with full feline fury. The cat launched into the dog with teeth and all claws. The dog would usually drop to the ground, the cat firmly attached. Next the dog realized that it was in trouble and it wanted to run away. 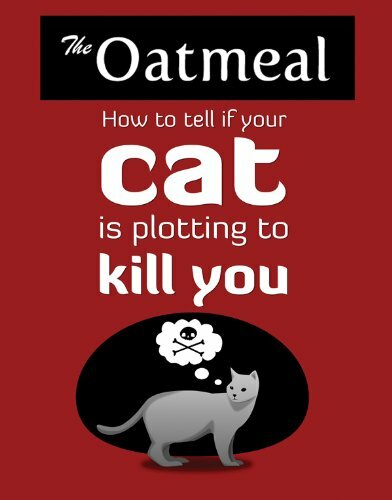 Being attacked by a large cat is a problem, though. The cat could hold on with teeth and sharp claws. In time, the dog could become loose and run away, defeated. Most dogs began to realize that this cat was not to be approached. Napolean was never hurt in battle, and typically delivered beatings. Unfortunately, the cat was also difficult for area cats to handle. He would assert his dominance over a rather large area. Neighbors began to complain that their cats would no longer go outside. None were really harmed, but they were scared off. When the cat was quite young, however, he didn't return home to the house one day. No body was ever found nor any response to missing posters and ads. He just disappeared and became a memory. Mika was received as a very small puppy, about 2 pounds. She was a mixture of a lot of small dog breeds. Her lineage included poodle, Pomeranian, Pug and more. The looked a little odd, considering her background. She actually looked like a terrier. Despite being descended from all those small dogs, many with behavioral problems, she had no related issues. Outside of having a sharp yappy bark, she was quite unlike the small breeds. She was very smart, however. Many of the toy breeds are intelligent. Mika was no exception. Also, since she had poodle background, she didn't shed. This was great as her hair was quite long. Her life was typically very healthy. She was rarely sick, and then only minor. She also tended to never get injured. She didn't do much to put herself in much danger, though. She was a lazy type of animal. Attractive, plushy and not much trouble. A good pet. The family also had another cat, an orange one named Susha. This cat was a little annoying. It was very vocal, meowing at all hours of the night. It didn't matter if it was recently fed, it still made a lot of noise. It was quite a small cat as well. She was quite affectionate and was good with small children. Her only problem was the excessive meowing! Sake was the family pet for nearly 20 years. In that time, a lot of adventures happened. He was attacked by dogs on several occasions and needed stitches. He was in a car accident. He once fell in a well. This animal was intent on using its nine lives. Sake was quite a noisy cat. The meowing was pretty bad when he was young, and it got worse. Towards the end of his life, he went blind. He was quite pitiful with his meowing then. When he was older, the family got the cat Napolean, who was mentioned earlier. The young cat used to torment Sake. It would dart into a room at high speed where old Sake was sleeping. The kitten would jump on the old cat then run away. The poor old boy never knew what happened. It was hard to get the young kitten to stop this behavior. Luckily the kitten grew up and stopped tormenting Sake. What a wonderful look down memory land of your pets. I often look at some peoples animals dogs and cats mainly and wonder what they see in them especially when not performing at their best. All the time I know in my heart that each and everyone of them mean something special to their owners. We share so much of our lives with our pets. Disappointed that you did not have a few photos to go with this great article. rated.